During the First World War, to refer to the Germans, the French used the word «Boche». No one knows where it comes from, but possibly from «caboche» which means hard headed. The British used Boche but also «Hun», a word describing barbaric or destructive behaviour. 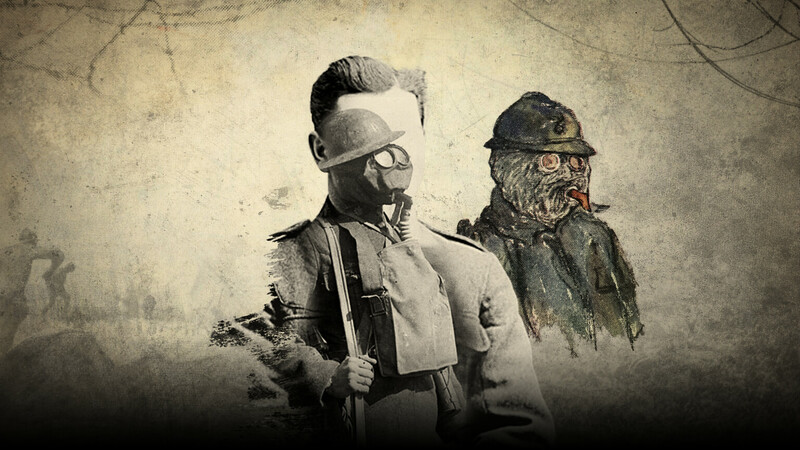 Doctor Cluny Macpherson, a Newfoundlander, invented the world's first gas mask. He fabricated it from a helmet taken from a captured German and added a canvas hood with eyepieces and a breathing tube. The helmet was treated with chemicals that would absorb the chlorine used in the gas attacks. 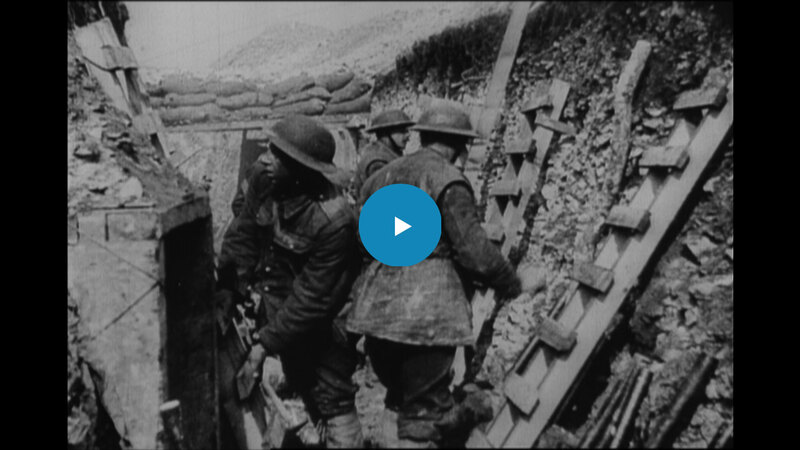 During the months before the first Somme offensive, the Allied troops dug tunnels under No Man's Land, strategically placing mines to blow up the German trenches. The tunnels had to be quite deep because the German trenches were buried far underground. Each night, over and over, British soldiers climbed to the top of the trench, their pockets filled with the clay dirt from below. Once the soil hit the air from the surface, it would turn white, which is why the soldiers called the place White City. For the most part, soldiers worked at night and slept during the day. But during the last month of preparation for the Somme offensive, the work schedule became more intense: four hours of work at night and, during the day, two teams – one working the morning (and sleeping the afternoon), the other working the afternoon (and sleeping during the morning). During the Great War, barbed wire was used for the first time to shore up the trenches. Invented in the United States to keep livestock from wandering, it proved very efficient at keeping the enemy off allied territory and was quite resistant to bombardments. At the beginning of the war, a soldier's daily ration in the British Army totaled about 3,500 calories: 450 gr of meat, some bread, cheese, jam, vegetables, tea and other foods. But the army quickly reduced the rations. There was less and less meat, it was mainly fat and soldiers could only have it nine times a month. Everything was cooked or heated in the same pot, even tea, and it was cold when it finally arrived in the trenches. Soldiers found creative ways to warm their food. The trenches were infested with huge rats that fed off wasted food and dead bodies in No Man's Land. The soldiers were horrified because the rats would crawl over their bodies and faces as they slept. Some of the men were so scared that, at night, they lit candles all around their body to keep the rats away.